There is a gap between writing for school and authentic writing. Just how big is that gap? If you consider an NPR interview with E.L. Doctorow that was recently replayed on the airwaves, the gap is a chasm….nay, an unmeasurable abyss. Doctorow’s original interview was replayed after his death on July 21st, 2015. His initials E.L. stood for Edgar Lawrence, and he was noted for his work with historical fiction including Ragtime (1975), Billy Bathgate (1989), and The March (2005). DOCTOROW: The ideal way to get involved in this sort of work is to write in order to find out what you’re writing. You don’t start with an outline and a plan. And in this case, it’s the first line in the book where Andrew’s saying I can tell you what I’m about to tell you, but it’s not pretty. And suddenly you find yourself with your character. The narrative genre may lend itself to Doctorow’s approach of “finding yourself with your character,” but writing in schools, especially at the secondary level, is in the expository/informational or persuasive genres. The Common Core State Standards have reinforced very deliberate borders between these genres. But Doctorow confounds these boundaries, incorporating factual information into his historical imaginings that play with the “myth of history” as an end product. So to be irreverent to myth, to play with it, let in some light and air, to try to combust it back into history, is to risk being seen as someone who distorts truth. Writing teachers invariably tell students, Write about what you know. That’s, of course, what you have to do, but on the other hand, how do you know what you know until you’ve written it? Writing is knowing. Again, there may be a palpable shudder from writing teachers who have used “writing from your experience” as a mantra. That kind of analytical action of the mind is not the way you work when you write. You bring things together, you synthesize, you connect things that have had no previous connection when you write. So, all in all, as valuable as my [analysis] training was, it took me through language in the wrong direction. Apparently, all those literary essays assigned by English teachers could be stifling this next generation of writers. I was reading constantly everything I could get my hands on. And, you know, at that age, something else happens if you’re going to be a writer. You’re reading for the excitement of it and to find out what happens next, just racing along. And then another little line of inquiry comes into your head. You say, well, how is this done? So, what can writing teachers learn from one of America’s most celebrated novelists? What advice might they consider in writing instruction? I seem to appreciate quiet. And when I’m writing I like to seal everything off and face the wall and not to look outside the window so that the only way out is through the sentences. In the bell-to-bell day of today’s classroom, with a constant stream of interruptions during timed essay writing or writing on demand, we are doing it wrong. 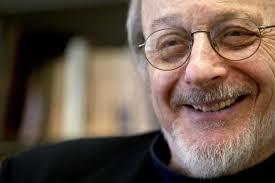 It is unlikely that a student writer will find the quiet that Doctorow appreciated. There is no blank wall. Students will have to find their own way out of the narrative through sentences, but teachers should try to give them the time and space to let that happen.